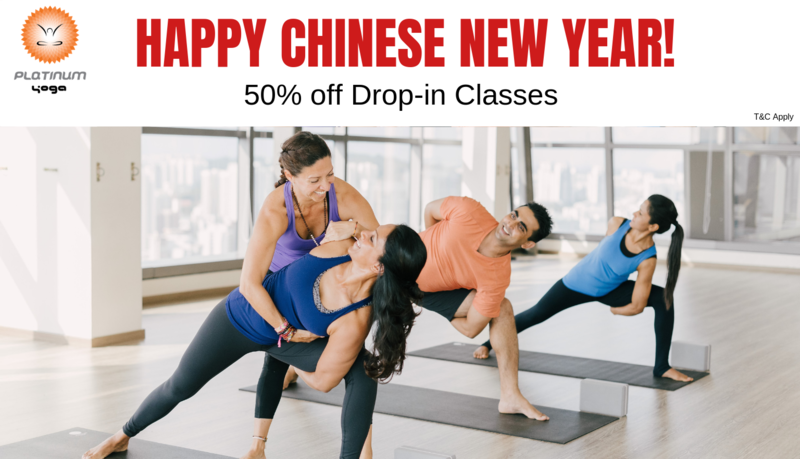 50% off drop in class at Platinum Yoga this Lunar New Year! Promotion is not applicable for Aerial, Pre Natal and Kids Yoga. Other T&C apply. Check in-store for more details. Platinum Yoga is located at North Wing, #02-462. You may use our NEW Interactive Directory on your mobile phone to find your way to your favourite shop, brand or product. Visit quickguide.sunteccity.com.sg.